The Observer series has launched a campaign to raise awareness of homelessness in the area – and work to combat the issue. Hope for the Homeless will run for the entirety of 2018, working with the many established charities and organisations in 1066 Country to help reduce the number of people sleeping rough on our streets. 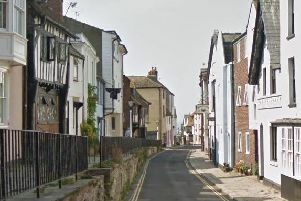 Following the tragic deaths of three homeless people in Hastings in the days between Christmas and New Year, there have been repeated calls for something to be done to help those in need. The Home for the Homeless campaign will have two main aspects. The first will be highlighting the wonderful work of various charities and organisations in the area helping those who are sleeping rough or in need of shelter. The Observer team will be volunteering with these groups to learn more about the services they offer, and taking part in fundraisers including The Big Sleep. The second part will be looking at the reasons behind the rise in homeless people in 1066 Country, and what can be done to address the issue. The Observer will be calling on authorities to do more to help house individuals who have found themselves homeless or who are struggling to secure permanent accommodation. The Office for National Statistics states an almost 54 per cent increase in the number of people sleeping rough in Hastings between autumn 2016 and autumn 2017 – a rise from 26 people to 40 people. The Hope for the Homeless campaign’s mission is to halt that rise, and see a less than 54 per cent increase between the figures from autumn 2017 and autumn 2018. The Observer team will be taking part in many activities throughout 2018 as part of our campaign, including relaunching the coat rail, whereby people sleeping rough can help themselves to warm clothing. For more information on the campaign, or to join the discussion, visit the Hope for the Homeless Facebook page. If you would like to support the campaign in any way, either through donations or volunteering, email maria.hudd@jpress.co.uk or call the newsroom on 01424 854242. Keep an eye out for the campaign logo in future editions of the Observer to stay up-to-date with the Hope for the Homeless campaign.